What To Do Before You Move Out? Whether you’re getting your security deposit back from your landlord or your former roommate(s), the entire process can seem overwhelming and stressful! What you should do before you move out? If you and your roommate are not going to be living together in a new apartment make sure you have: your roommate’s phone number, address, and at least one “back-up” contact such as parent or sibling’s phone number and address. Make sure all phone numbers, addresses, and e-mail addresses are up to date when you move out of the apartment. Discuss how the money returned from your security deposit will be distributed and put that in a written agreement. Give copies to each of the roommates. Important! that your roommate or Landlord has at least two current forwarding addresses to mail your security deposit. Many mistakes have been made that the security deposit has been mailed to an expired address. You are entitled to request a move out inspection from your property manager (landlord)! Make a written request or call for an appointment with your property manager to have a walk through move out inspection. This is an initial inspection. Remember there may be many tenants moving out during that month so it is suggested to schedule your appointment at least a few weeks ahead. Once you should agree on a mutually convenient date and time with the landlord or representative for the inspection make sure you keep your appointment. This appointment usually is about two weeks before the end of the lease term. Read your Leases before moving out! -Make sure that all residents turn in keys, otherwise unreturned keys will be deducted from security deposit. Your lease agreement discusses the return of keys, change of locks by tenant, repairs, moving out inspections procedures, and security deposits. -Some leases state that carpets are to be professionally steam cleaned upon move out or it will be automatically deducted from the security deposit. -Some leases state that repairs have to be made by a professional. -Repainting walls – Check your lease and see if your landlord can deduct from the tenant’s security deposit for repainting, when repainting is necessary. -This approach assumes that interior paint has a two-year life. Some landlords assume that interior paint has a life of three years or more. Generally, minor marks or nicks on the wall are the landlord’s responsibility (normal wear and tear), thus the tenant should not be charged for such marks or nicks. However, large holes and ceiling that requires filling with plaster/patching could justify withholding the cost of repainting form the tenants’ security deposit. 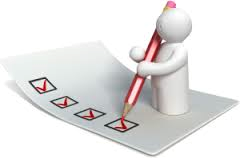 You and your landlord should use the original inventory check list one upon moving in and any documentations of previous inspections done while living in the apartment. Make sure you have photo/video copies of the apartment BEFORE and AFTER you move in. These are also known as pre-inspection and post-inspection photos. Pictures: Try to capture as much detail as possible about the condition of the apartment as you are leaving it. Who is cleaning the apartment? This task will need to be divided up between you and your roommates. This includes: deep cleaning, fixing holes, etc. -The unit (as a whole) must be repaired as completely as possible to receive a larger refund of the security deposit back. -Depending on the amount of repair you may mend the damages yourself, hire a service, or consult with your property provider. Property providers may advise you to abstain from doing your own repairs because it is usually cheaper to have it repaired by the rental company’s contractor. Costs for repair jobs are based on the nature of the job and how long it takes.